Thanks to Mr. Nim Dunne’s local knowledge four previously unrecorded burnt mounds/fulacht fiadha, were recently identified at Knockduff, Bree. ‘Burnt mounds’ are a type of archaeological site whose defining characteristic is large quantities of heat shattered stone. These sites commonly date to the Bronze Age, although examples from the Neolithic through to the medieval period are known. Burnt mounds are also known as ‘fulacht fiadh’ and have been primarily interpreted as cooking places. The term ‘fulacht fian’ is found in the early Irish literature from at least the 9thcentury AD (Waddell 1998, 174) and refers to open-air cooking places in which a water filled pit was made in which to cook meat. The early Irish literature also shows that the word fulacht is not only applied to a water filled pit for boiling meat but also to an outdoor cooking pit where meat was roasted on a spit or over an open fire (Kelly 1998, 337). In the field extant burnt mounds are noted as low grassy mounds which can be circular or crescent shaped. Size varies from sites which are only a few metres in diameter to those which can be upwards of thirty metres. The usual location of burnt mounds is close to a water source, such as a stream or lake, or simply in low-lying boggy ground. Due to the extensive agricultural activity which much of Ireland has seen, burnt mounds are often ploughed-out and leave no trace on the ground surface. In this case if the land is topsoil stripped the remains of the burnt mound will be seen as a shallow deposit of heat shattered stones which lie within a charcoal rich black soil. The general sequence of events observable at these sites is the digging of a pit or pits into the subsoil, which functioned as troughs for holding water, followed by the build up of heat shattered stones and the residues of fires. Sometimes hut sites were located beside the sites. Excavated troughs are generally found to be rectangular or sub-rectangular in shape. 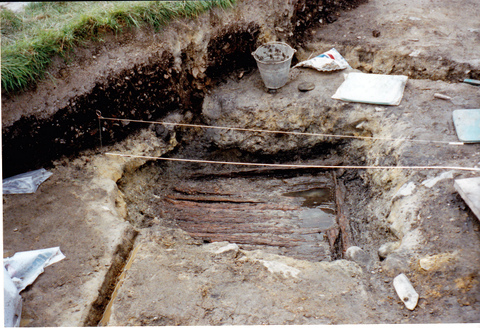 Some excavated troughs contained a timber lining to keep the sides from collapsing, or a clay lining, to keep the water in. A fire was set near to the trough upon which stone was heated and the heated stones were subsequently dropped into the water. The resultant boiling water was then used for a variety of purposes. Once the water heating process was complete the trough was cleaned out and the stones were cast aside giving rise to the characteristic shaped mounds present in today’s landscape. The stones did not always shatter in the process and could be re-used. As well as the occurrence of troughs and deposits of burnt stone, burnt mounds have another common characteristic – the use of certain types of stone. In general sedimentary rocks such as sandstone are very common and experiments have shown that sandstone can be heated and cooled around five times before splitting into unusable fragments (Buckley 1990, 171). 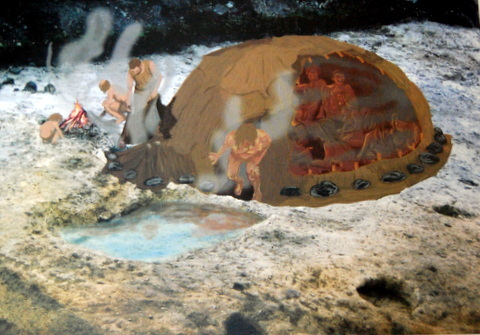 The most common explanation for the function of burnt mound sites is as cooking sites, although a number of other theories have been postulated to explain the nature of these sites. It has been demonstrated that they could have been covered by light structures and used as saunas or sweathouses such as that at Rathpatrick, Co. Waterford (Eogan & Shee Twohig 2012, 179). Industrial uses such as the washing or dyeing of cloths and hides have been postulated (Waddell 1998, 177), and it has also been argued that they were used to brew beer (Quinn & Moore 2009). What is clear is that large quantities of hot or boiling water were produced and the sites often had long periods of use as attested by the large mounds of stone. The absence of animal bone does not preclude cooking activities as carcasses may have been prepared elsewhere and brought to the site and, once the meat was cooked it may have been taken elsewhere to be eaten. The damp soil conditions associated with burnt mounds do not generally favour the preservation of animal bone. The alternative explanations of bathing and industrial activity (such as dyeing or metalworking) are often postulated on the basis of ethnographic parallels. Bathing is mentioned in several early Irish texts in conjunction with cooking perhaps suggesting that the sites were multifunctional. Burnt mounds have a long period of use in Ireland. 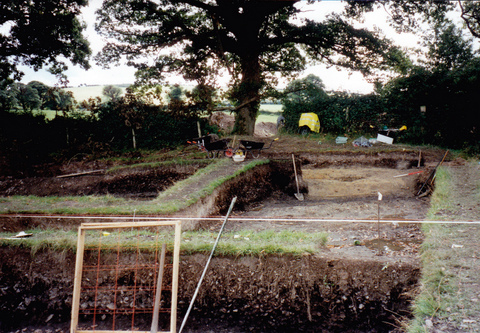 Excavations at Clowanstown, Co. Meath, revealed the presence of five upstanding Neolithic burnt mounds (Archaeology Ireland, winter 2007, p.12), and examples are known from this period through to at least the Iron Age. Although the newly discovered burnt mounds at Knockduff remain undated it is possible that one at least has its origins in the Neolithic as a stone axe, which is a characteristic artefact of this period, was recovered from the site (burnt mound 1 on the location map above). It is also possible that some of the Knockduff burnt moundsare broadly contemporary with the nearby hillfort at Ballybuckley, which is probably Late Bronze Age in date. Either way these newly discovered sites represent an important addition to the parish’s history. Thanks to Nim Dunne for bringing them to the notice of The Bree Heritage Project. Buckley, V. 1990 Burnt Offerings. Wordwell, Dublin. Hore, P.H. 1900-1911 History of the Town and County of Wexford. London. 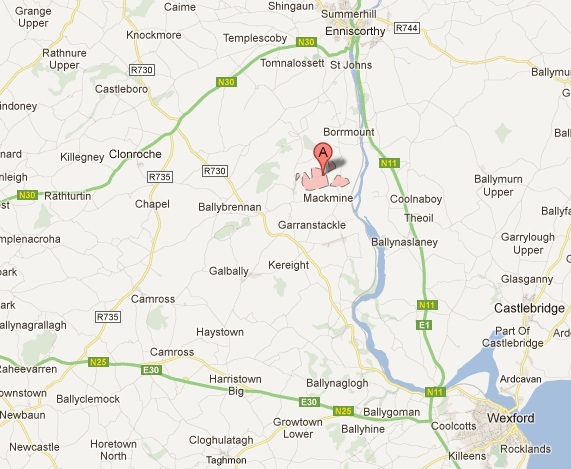 Eogan, J., & Shee Twohig, E. 2012 Cois tSiuire – Nine Thousand years of Human Activity in the Lower Suir Valley. NRA Scheme Monographs 8, Dublin. Kelly, F. 1998 Early Irish Farming. Dublin Institute for Advanced Studies. Quinn, B., & Moore, D. 2009 ‘Fulacht fiadh’ and the beer experiment’ in Stanley et al (eds) Dining & Dwelling. NRA Monograph Series No. 6, 43-53, NRA, Dublin. Waddell, J., 1998 The Prehistoric Archaeology of Ireland, Galway University Press.